Christmas time sees many brands run annual campaigns in attempts to become associated with this time of year, such as the John Lewis Christmas advert or Cadbury’s Heroes tubs. One such gimmick we’ve seen in recent years has been the Coca-Cola Christmas Truck, which visits sites around the country to ‘deliver Christmas cheer’. However, the campaign seems to be falling flat this year (see what I did there? ), after Duncan Selbie, chief executive of Public Health England, called for local councils and shopping centres to ban visits from the lorry because of sugar’s key role in rotting children’s teeth and obesity. Maybe it’s time for Coca-Cola to consider a new PR approach next year…? 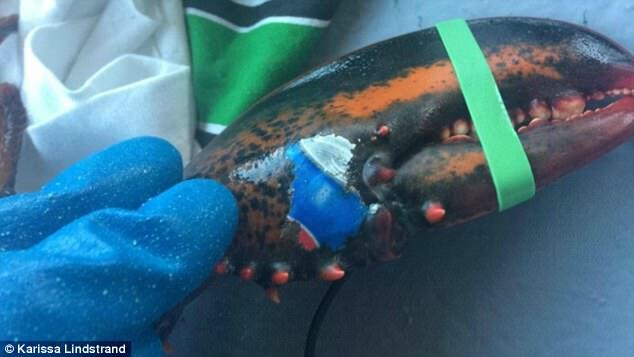 Sticking with soft drinks, Pepsi received some product placement that it wouldn’t have wanted this week, after a fishing crew in Canada found a lobster with the blue and red Pepsi logo imprinted on its claw in the waters off Grand Manan, New Brunswick. The finding has raised concerns over the litter that is being dumped in our ocean and the effects it is having on wildlife. Pollution in our seas is a big issue, and for Pepsi to be associated with this is not good for the brand, Pepsi should look to demonstrate how it is trying to prevent its products contaminating the ocean if it wants to avoid further association with this issue. It’s not been all bad for the soft drink industry this week though, with Red Bull making positive headlines across the world. The brand is associated with sponsoring extreme sporting ventures, and its latest stunt might be its most intense one yet. In the video, which has since gone viral, two wingsuit flyers jump from the top of Jungfrau mountain in Switzerland and whilst mid-air, land back in a moving plane. It really is amazing to watch and once again demonstrates the value of PR stunts in raising brand awareness.